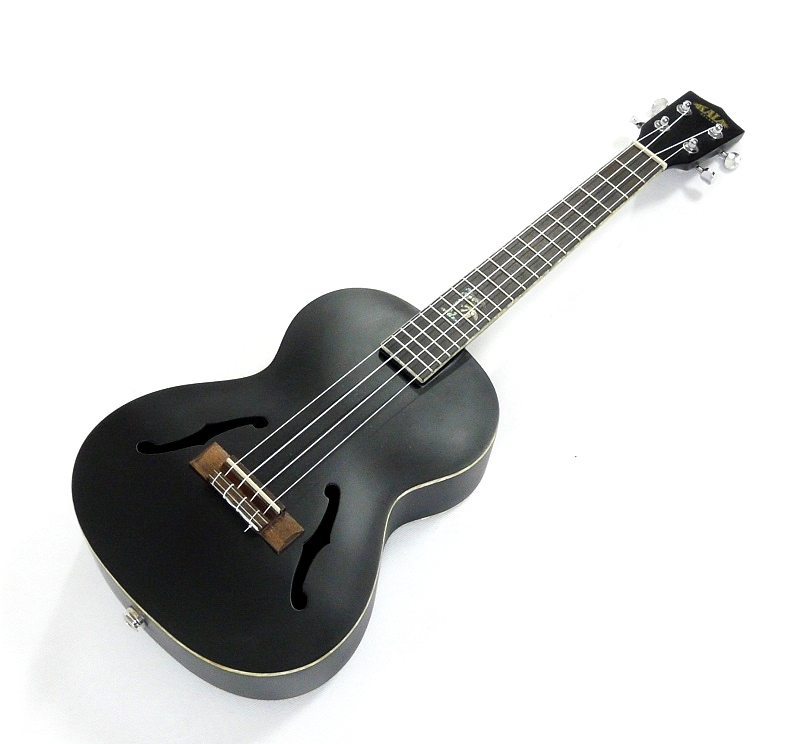 Matné černé Jazzové ukulele s klasickimi "f" zvukovymi dirami. 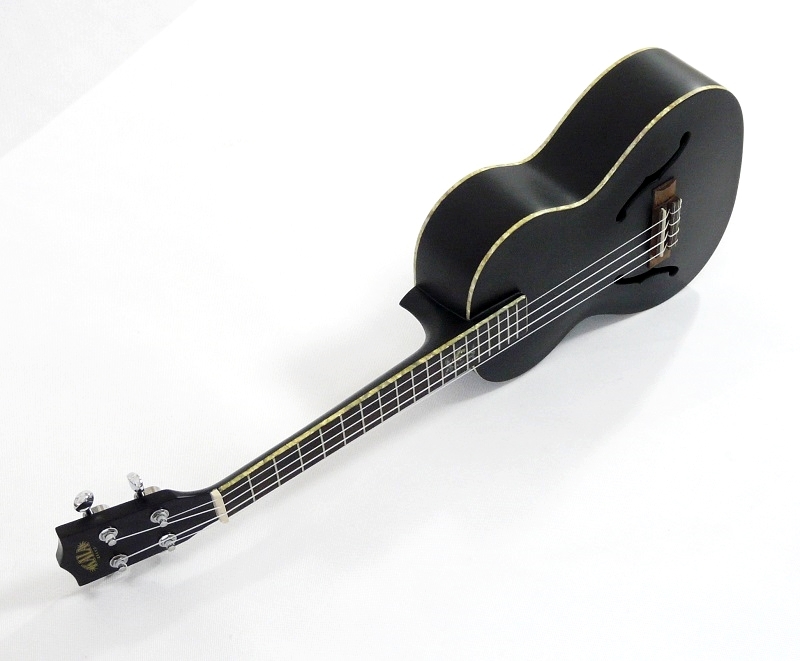 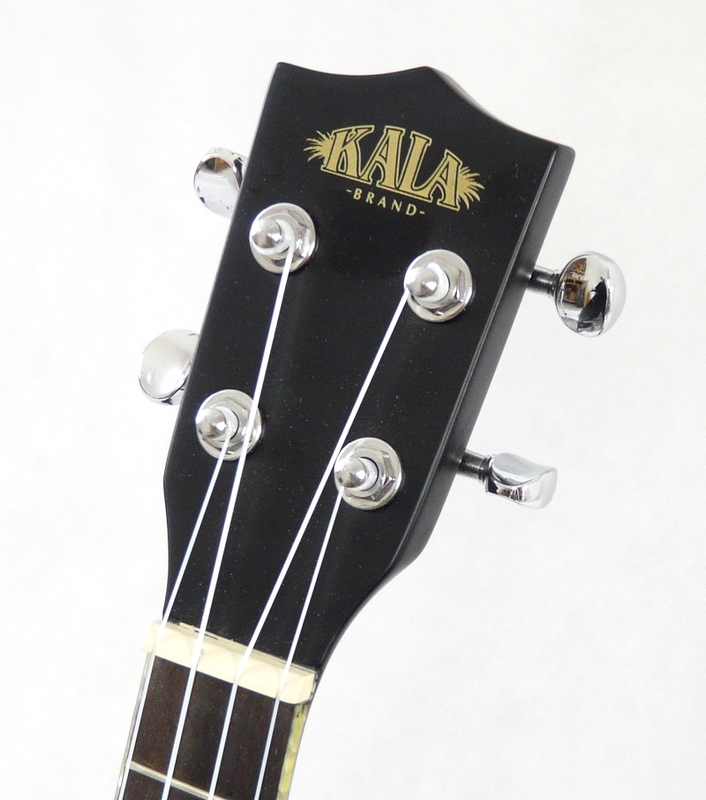 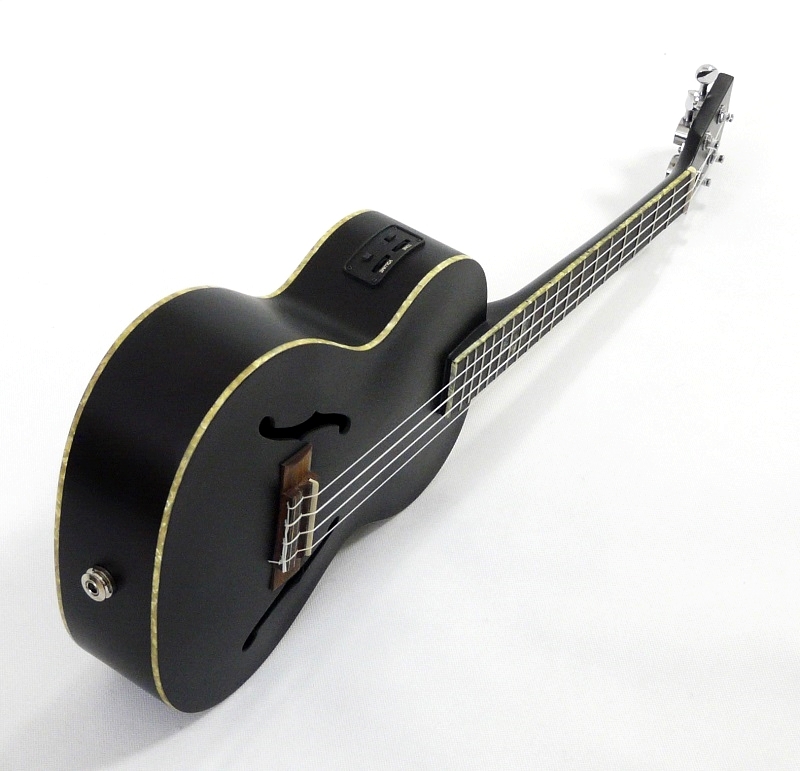 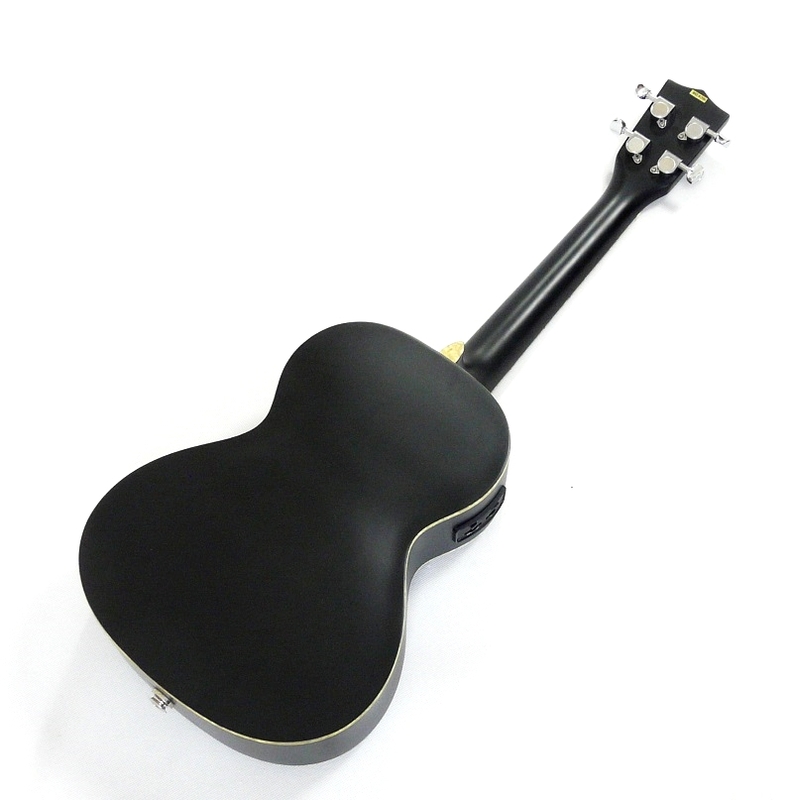 Serious looking black archtop tenor, with a shadey silky matt black finish and mother of pearl detail. 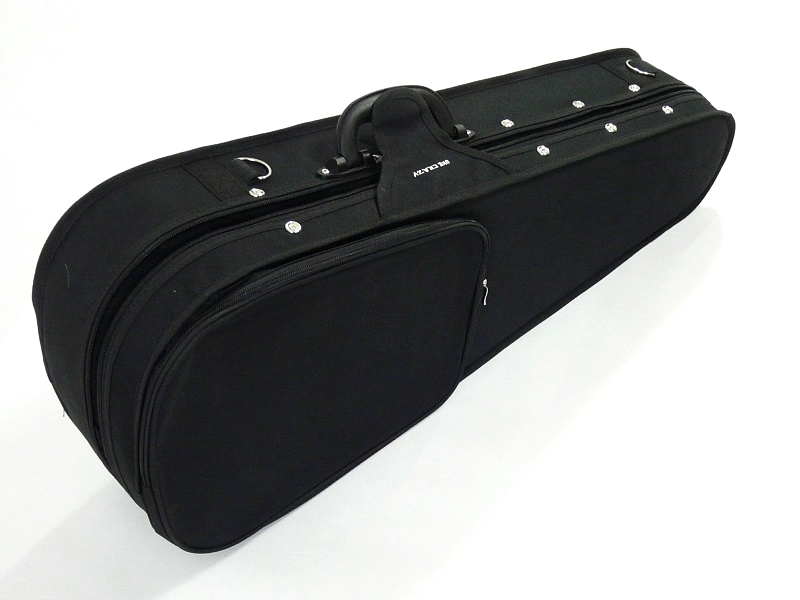 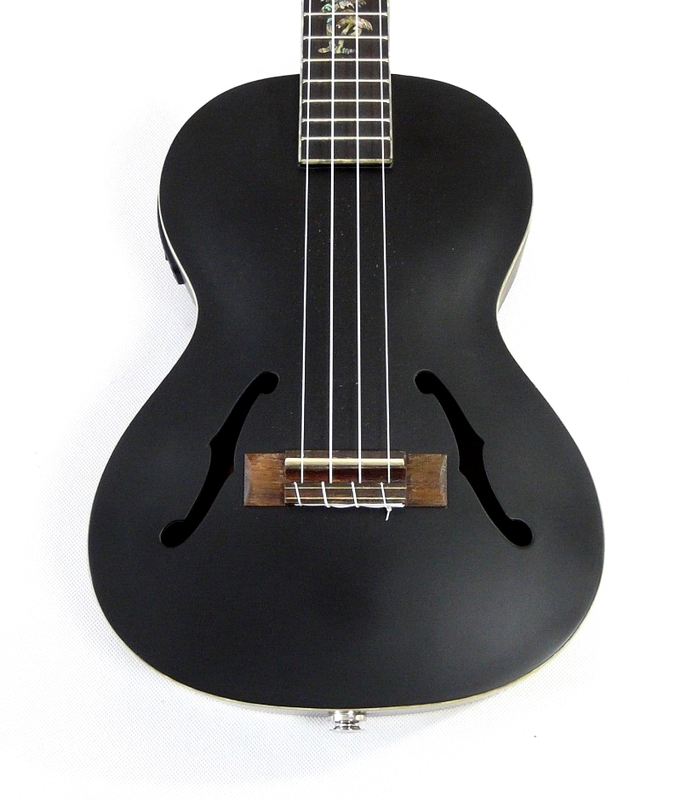 The uke is fitted with a shadow pick up and comes with a black hard pod case.